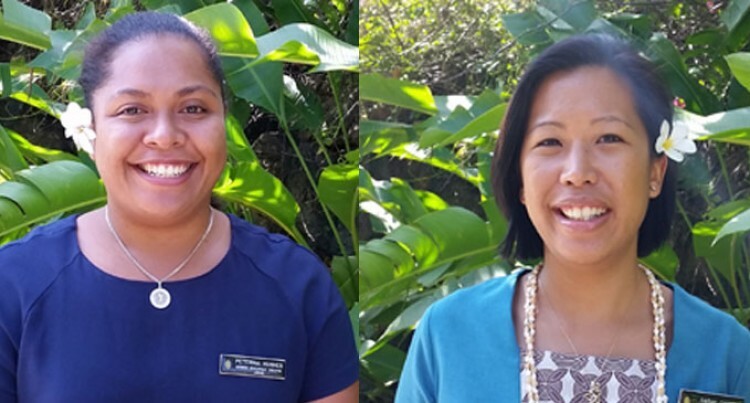 InterContinental Fiji Golf Resort & Spa is proud to announce two new appointments with their Sales and Marketing team. The new appointments are Peterina Hughes to the position of Business Development Executive – Leisure, and Sarah Chung to the position of Marketing Executive. Both roles will be reporting into the Director of Leisure Sales and Marketing; a position that is currently being held by Hudson Mitchell. Peterina joins award-winning InterContinental Fiji following two years as a Sales Specialist – Australia/USA market in her previous role. With a reputation for responsive, personalised and seamless service, Ms Hughes offers a professional sales approach and invaluable insight into client expectations. She has extensive knowledge in sales activities, market segments, policies and procedures with a solid understanding of hotel operations. Ms Chung joins the marketing team at InterContinental Fiji following the past four years working in the luxury cruise line industry for Prestige Cruise Holdings. These included vessels such as Regent Seven Seas Voyager, Seven Seas Navigator, Seven Seas Mariner and Oceania Cruises Marina. “Working at such a prestigious resort and brand name such as InterContinental has always been a personal goal and I look forward to the many exciting life changes and challenges for my next career move,” says Ms Chung.